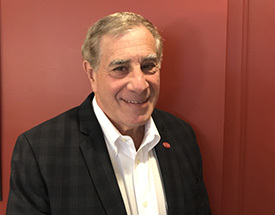 The recipient of two of the highest honors in the foodservice industry, the “Key Person Award” and the “President’s Award,” Ira Blumenthal is a foodservice industry leader. He was a CMO for The Sara Lee Corporation, the President of Rymer Foods and the founder and President of CO-OPPORTUNITIES, Inc., a consulting company that has worked with over 150 of the top 200 restaurant chains in the U.S. as well as major manufacturers. He was a visiting professor at The Foodservice Institute (Notre Dame) and the Food Industry Institute (Michigan State), is a published author and a much-in-demand food industry keynote speaker. Tony Rizzo is a passionate second generation owner of Rizwitsch Sales, which was founded in 1984, where he serves as managing partner. He took over Rizwitsch Sales in 2006. Since then, the company has successfully opened up markets in Michigan, Kentucky and Indiana. Tony runs a very vibrant, young and aggressive company that has grown through the many years of consolidation. He is very proud of being independent and a force in the Midwest. Rizwitsch currently covers Michigan, Indiana, Ohio, and Kentucky with seven offices to provide foodservice solutions for a stellar list of manufacturer clients. Tony and his company have a reputation for being an organization of knowledgeable, dependable, and honorable people with a firm commitment to the foodservice industry. 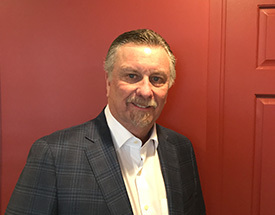 Tony is current board member of the IBA where he serves as Chairman and is also a board member of the Foodservice Sales Marketing Association (FSMA). 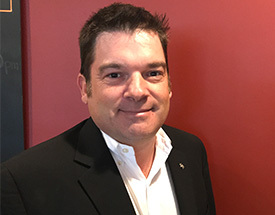 Jason Seely is one of the two founding Managing Partners of Stillwater Provisions, a foodservice brokerage company founded in 2009 with a footprint of Maryland, Virginia, West Virginia, North Carolina and South Carolina. 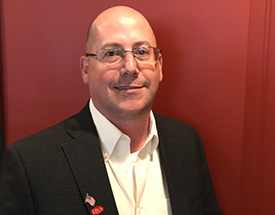 He brought to Stillwater Provisions broad based sales management experience that included both retail deli business and foodservice in a nine year career at Smithfield Foods, that included the role of VP of Sales and Marketing. He has helped lead Stillwater Provisions from a start-up organization to an industry-leading independent regional brokerage company with over 35 foodservice sales professionals that strive daily to provide industry best responsiveness. He is married and has three sons. Jack Donovan is the President of Donovan Food Brokerage. Prior to taking over his family's business and growing it to the largest independent foodservice sales agency in Chicago, Jack earned a degree in Civil Engineering from Villanova University and served as an officer in the United States Air Force, doing one tour overseas. After a stint in corporate America, he quickly realized that corporate life was not for him and actively joined his Dad in Donovan Food Brokerage. Jack resides in Chicago. In his free time, he enjoys spending time in the outdoors with his wife, Linwood, and their two children. 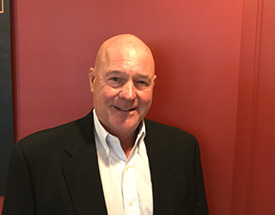 With over 27 years of successful food industry experience at companies including Kellogg's, Sara Lee Corporation and Frito Lay, Darin Pounds is a seasoned food industry veteran. Listening to the entrepreneurial spirit, Darin left the corporate world and excitedly jumped in fully engaged into the foodservice sales agency world. With a dedication towards marketing, sales and helping facilitate the strategic direction, he hasn't ever looked back and loves the sales agency world. Darin and his wife reside in Memphis, TN. He enjoys spending time on the lake with his 3 kids, participating in Triathlons and coaching his youngest in Football and Basketball. 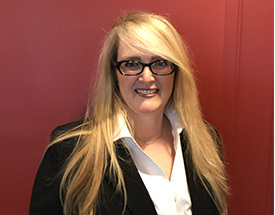 Tish Fidler-Tate has served as the IBA Senior Vice President of Strategy and Distribution since February 2017 as well as serving on the IBA Executive Board since 2014. Previously, she served as President, Fidler Marketing / IBA, a family owned and operated sales agency headquartered in Oklahoma City with operations in both Oklahoma and Texas. Fidler Marketing, Inc/IBA., originally known as Foodservice Sales, was founded in the late 1970’s and became Tish’s passion when she joined the firm in 1994. Prior to joining FMI, Tish worked as a direct sales representative for General Foods and procurement specialist for Kraft Foodservice. Robert Meyer is the CEO of SMC (Sabin Meyer Corporation) one of the oldest foodservice brokerage firms in the United States. Being the second generation with over 35 years of stewardship, Robert has established SMC as one of the leading brokerage agency in the metro New York region. Now encompassing three generations, Robert has established SMC with the reputation of being a firm founded on honesty, integrity, and fully partnered with their client base and customers who they service in all areas of foodservice including K-12 and foodservice/retail. Robert is a board member of the IBA for the Northeast. Paul is partner and CEO of Baker Sales Company / IBA. Baker Sales is a family owned, independent sales and marketing agency based in Minneapolis, covering several Midwestern states. Paul has been with Baker since graduating in 1976 from University of Minnesota with a BS degree in business. He is married to his best friend Beverly, and they have three sons; Paul Jr (who works with Baker Sales), Bill, and David. 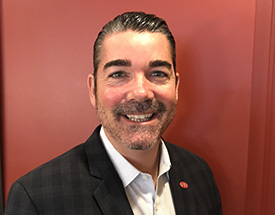 In addition to his duties at Baker, Paul is very active in the foodservice industry, serving on several nonprofit boards including the Foodservice Sales and Marketing Association (FSMA). He enjoys all facets of the outdoors, lake life, and the Caribbean. Sean is the President and second generation owner of T.A. Dowd Brokerage in New Orleans, Louisiana . After graduating from LSU with a BS in Marketing, Sean joined the family business in 1980. Over the past 38 years T. A. Dowd has grown to be the largest food service agency in the state of Louisiana and the Mississippi Gulf Coast. With a vested sales force of 14 having over 200 years of sales experience, T.A. Dowd has built a reputation as the go to agency in the state representing the best brands and manufacturing partners in the industry . Sean is very active in the Louisiana Restaurant Association as well as a founding member of the Louisiana Hospitality Foundation. Sean is 100% committed to continuing to be one of the best independent agencies in country. Michael, serves as the President of Gilbert Foodservice, the largest family-owned Independent broker in the Carolinas. Founded in 1982, by Gilbert Moore, Gilbert Foodservice is a forward -thinking, aggressive sales and marketing organization dedicated to the success of their clients. Before joining GFI, Michael worked with Kraft Foods and Mar Jac poultry. Michael and his wife, Lauren, live in the Lake Norman area with their 4 kids. Michael enjoys coaching his boys and watching University of Georgia football. 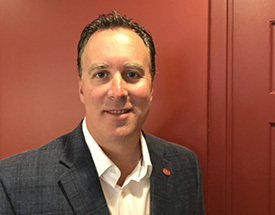 Chad is the President and CEO of a second generation foodservice broker in the Northwest and the only remaining independent broker with full market coverage in the NW. 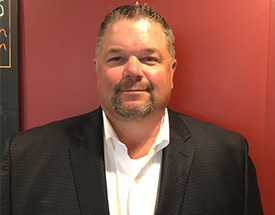 Over the past 25 years, he has built a reputation in the NW for sales excellence building strong relationships with manufacturers, distributors and foodservice operators alike. His company, J.G. Neil and Company, consistently sets the bar for sales and service in the NW, being recognized repeatedly with Broker of the Year, Manufacturer of the Year and Sales Person of the Year honors. He sits on several manufacturer broker advisory boards and is an ardent supporter of the independent broker model. 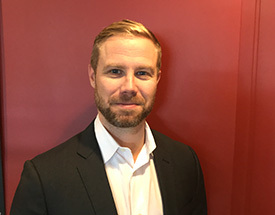 Jon is a life-long resident of west Michigan and a graduate of Davenport College of Business in Grand Rapids. Jon started his sales career with Ritchie Marketing in 1990 while still attending college. 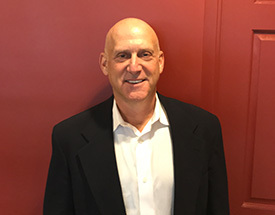 Jon has worked in and run Ritchie Marketing for 28 years as of 2018. Since becoming the single stock holder in the company in 2006, Jon has been fortunate to oversee 12 record years in a row and growing our company from 2 offices and 12 people to 6 offices and 40+ people. Jon is married to Karla and they have three daughters and one son-in-law. He enjoys playing golf, hunting, fishing, spending time with family and Texas Longhorns football.